We specialize in Children's and Young Adult books, but we can get almost any book in print. Class sets, library books, professional development titles, and more-we can get you great discounts. We are focused on AMAZING service, selection, and prices. It's a new way to think about book fairs. Want to keep up with new releases, get interesting info about the book industry, helpful tips and strategies for implementing Common Core State Standards, and more? Here at PBC we're readers. We love every genre and gobble up books like candy. Want to know our latest favorite? Or get recommendations on good books for your collections? Looking for local and national award winners and "best of" lists? PBC can help! Grand Canyon, Peggy Sharp, What's New in YA, Newbery, Caldecott & ALA and more. There's always something exciting happening at PBC. Click below to see info on our sales, author visits & socials, professional development workshops, & more! 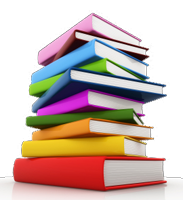 All you have to do is let us know which books you're looking for and we will prepare a customized quote for you. Call, email, fax - send your list of books in whatever format you have. We accept Titlewave lists, Amazon wishlists, competitors' catalog order forms, and scribbled notes on napkins. We'll order and deliver your books quickly. It's that easy!